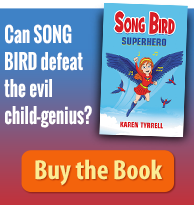 Join award winning author teacher Karen Tyrrell as I share my marketing secrets. I’ll guide you every step of the way. I’ll teach you how to promote, sell and distribute your book to the world with a pro-active marketing plan. 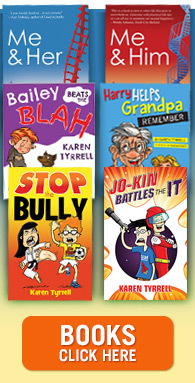 My eight award winning books are available at Dymocks, Angus & Robertson, Riverbend, Mary Ryans, Book Depository, Barnes & Noble, Amazon, Apple and many, many more. 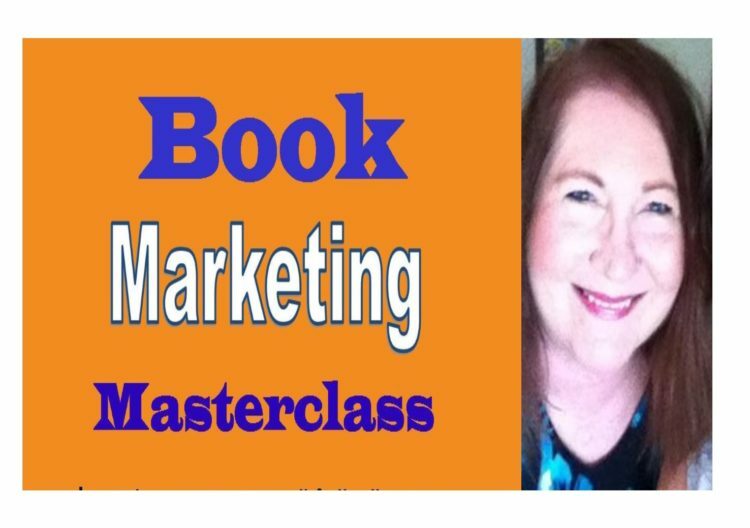 What topics are included in Book Marketing Masterclass Jan 28 ? Book marketing and author platform. Website SEO and social media influence. Book launches, book reviews, blog tours, media releases. 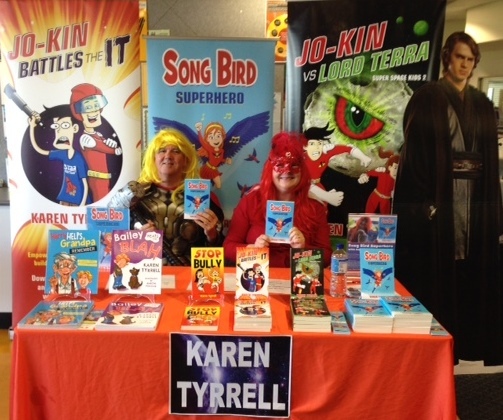 Book sales and book distribution to book shops, schools and libraries. Author income – How to Maximize your author income. Who will present Book Marketing Masterclass Jan 28? 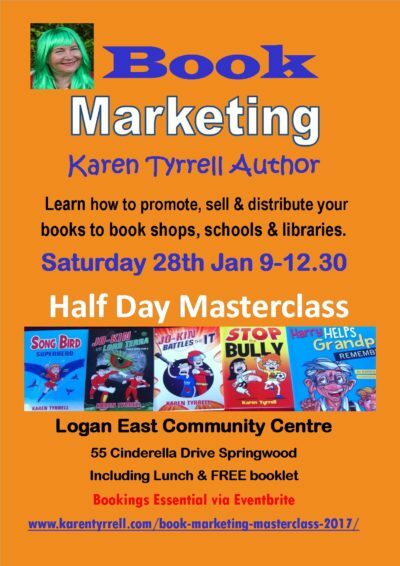 Karen Tyrrell is a Brisbane triple award winning author and publisher of eight books, key-note speaker, storyteller, pantomimer and workshop presenter. Karen empowers adults with her resilience books: ME & HER: A Memoir of Madness, Me & Him: A Guide to Recovery. 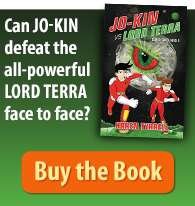 Song Bird Superhero, Jo-Kin Battles the It , Jo-Kin vs Lord Terra . Karen Tyrrell presents writing talks at Queensland Writers Centre, Moreton Bay Libraries, CYA Conference, Gold Coast Writers Festival, Brisbane City Libraries, Toowoomba Writers Festival, River City Writers Conference, Write Links, schools, libraries and festivals. ‘I liked the easy to understand explanations, comraderie and experiences shared.’ — Jennifer Lancaster. WHEN: Saturday 28th January 9 am to 12.30 pm. WHERE: Logan East Community Centre. 55 Cinderella Drive (Cnr Vanessa Blvd) Springwood. Near Springwood Bus station, bus 555. COST: $54 -$59 Includes a yummy morning tea, lunch, drinks and a FREE book marketing booklet. Early Bird discount if you book early. Let 2017 be the year you get your book out to the world! Click BUY TICKETS below to purchase your tickets!